– I will say that we weren’t on the beach and we stayed in the small town about 5 minutes from the beach – next time, I would look for a hotel on the beach. The area on the beach is like the Mexican Jungle, it’s so beautiful and every store and restaurant are so cute. – Book your transportation from the airport to the hotel. We did a private transfer which was around $180 for round trip but there’s also shared shuttle buses or public transportation for significantly cheaper. We never ran into taxi issues and everyone was nice. Obviously still be cautious when grabbing taxis or booking transportation. – Take pesos out at ATM and not at an exchange place, I took out about $150 each time. Total about $500 USD which equated to about 10,000 pesos and it lasted me the whole trip and used my credit card at places I felt like were safe to do so. – Taxis should be 200 pesos or less if it’s within 15-20 minutes, so make sure you ask before you get in. – Plan at least one night for a fancy dinner date, we didn’t have the chance too but there are so many cute places! 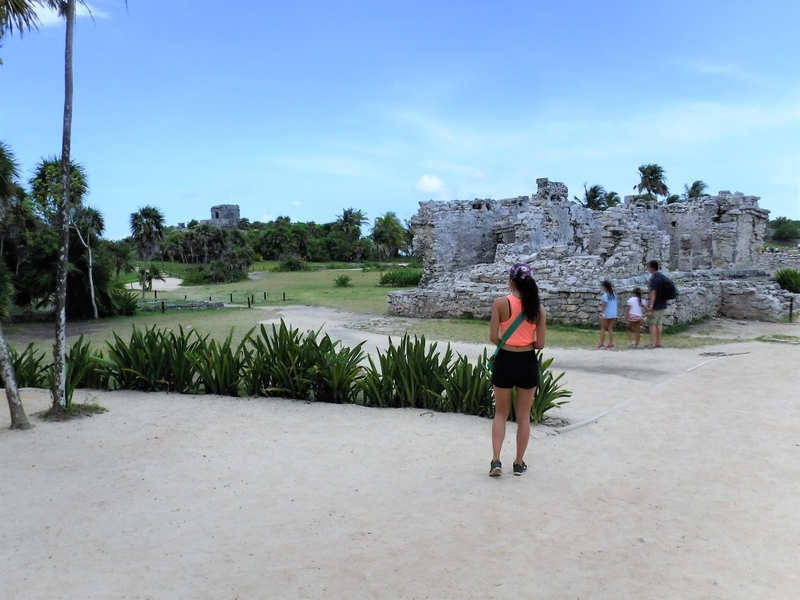 – We stayed at the Xscape Tulum which was really nice and close to the shops that reminded me of China Town. If you’d rather stay near the town, I would recommend this hotel but as mentioned before I would have preferred to stay within walking distance of the beach. 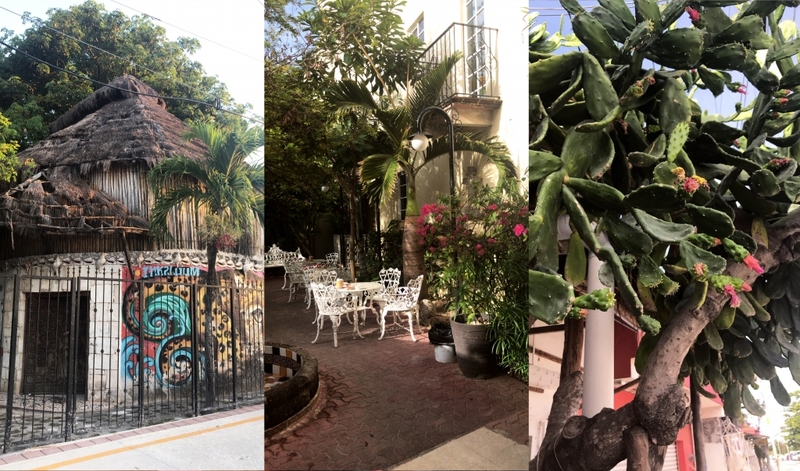 – We walked through the shops until we got to La Hoja Verde a vegan/vegetarian restaurant which was delicious! They had fresh fruit juices, smoothies, desserts, and good food selections. – After dinner, we went back and rested after our travel day. – We woke up pretty early since it’s an hour behind EST time. 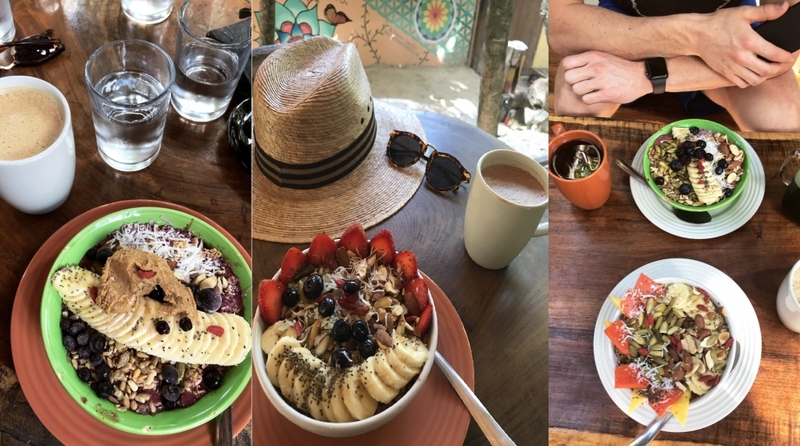 We walked to the main street and grabbed a taxi to take us to the beach and the best place to get a smoothie bowl – Raw Love. We actually ended up going here every morning for breakfast lol! It’s the coolest restaurant I’ve ever been too. It’s outdoor, on the sand, and within 100 feet from the beach front. 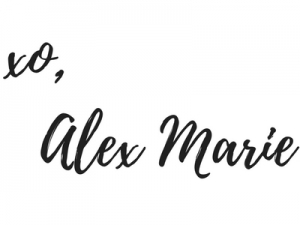 They have cool seating (including swings) and just an awesome atmosphere, I would definitely recommend! 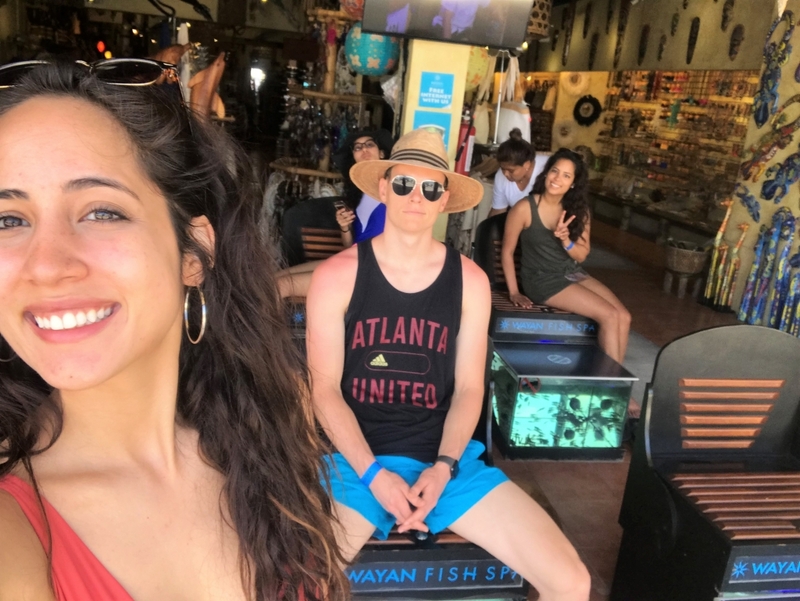 – After breakfast, we walked down the beach road and stopped in the shops, chatted with tour guides to see what there was to do in the area, and decided to take a taxi to the Tulum Ruins (about a 15 min drive) which is on the beach. You’re going to want to pack your swimsuit, a towel, and some sunscreen. This was a pretty cool hike and ruins which are worth sightseeing. The whole hike/sightseeing was about 2 hours but we ended up not staying on the beach there. – We got lunch at El Vegetariano and then went to take a nap because we’re practically old people. – We hit up the main street again, grabbed coffees, and just walked along the strip until dinner time. – My sisters came in so we took them to shops and the city center. – We woke up early this day, walked the shops and saw a place that does the fish foot spa. It was $10/person so why not again?! I have ticklish feet and it wasn’t that bad for me … my boyfriend, on the other hand, struggled lol! – Once 9AM hit, we took a cab for breakfast at Raw Love. We had plans to go to touristy stuff but Brandon and I were tired from the first few days and my sisters were tired from their trip in the night before. 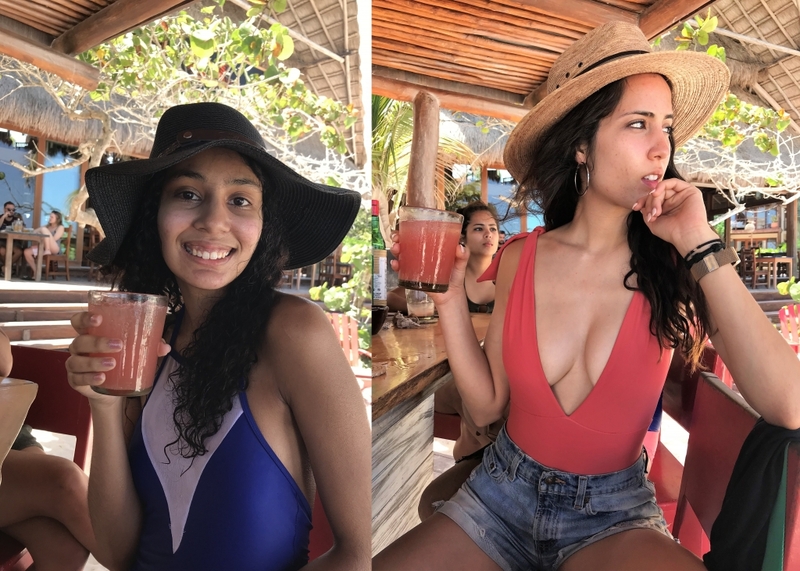 – Full Beach day – after breakfast we walked the beach and decided to stop at a pop-up cabana bar and get some drinks. Once we finished our drinks, we swam in the ocean. – Thennn….we got massages on the beach. BEST. THING. EVER. It was about $40/person for an hour and 10 minutes and man was it oh so relaxing. Imagine the breeze, the noises of the ocean waves, and the sun on your salty skin ON TOP OF being massaged. Yes, definitely recommend. – Head back, grab some quick food, and went to bed. A full day in the sun always makes me so sleepy. – We actually rented a car from Alamo this day which was only like $80 for the day and we had no issues. 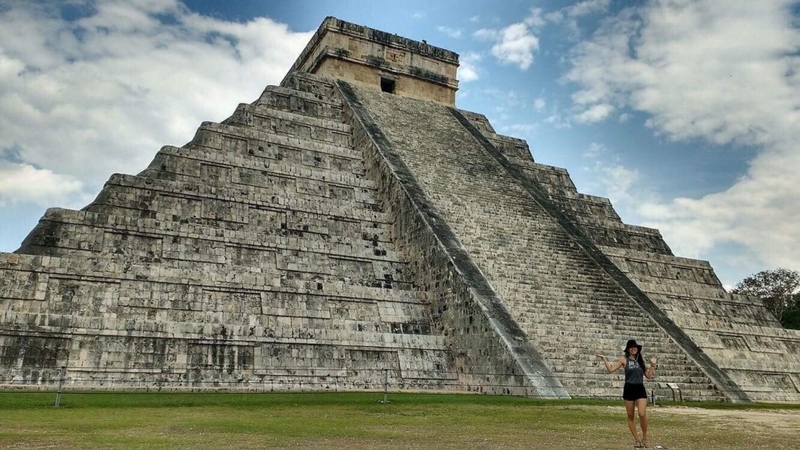 We decided we wanted to go to Chichen Itza (one of the seven wonders of the world) which was about an hour and a half away. – We got there and hired a private tour guide ended up being like $40 dollars to take us through. I highly recommend it because the history and background are so amazing and just looking at it doesn’t do it. 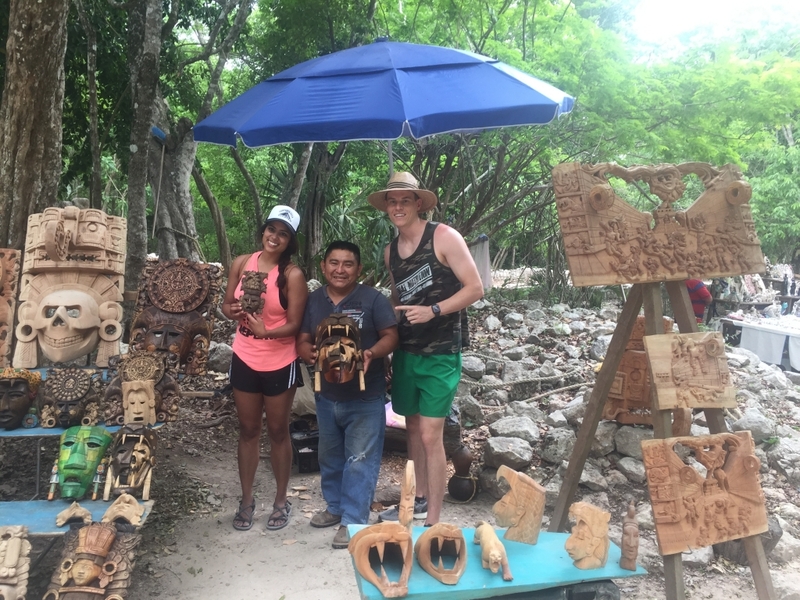 – We wandered around Chichen Itza and there are street vendors inside so we did some shopping. By the time we hit the road, it was around 5:30PM and had an hour and a half drive back. 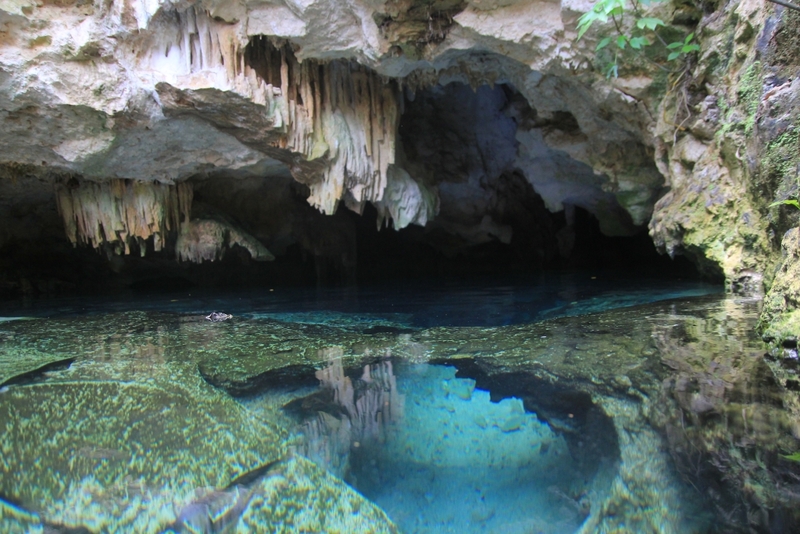 – It was our last full day and I still wanted to see cenotes and wanted my sisters to see some too so we stopped at a few on our way back to the hotel and went swimming. I can’t remember the name of these specific ones but they were so cool! However, we were exhausted so when we made it back to the town we stopped a restaurant, ate, and went back to the hotel to pack and sleep. Left Tulum at 9 AM for the flight back home. 🙁 Give yourself about 4.5 hours including travel time back to Cancun plus airport time. This is the best trip I’ve had in a while, it was so nice not feeling rushed or stressed to get to places. 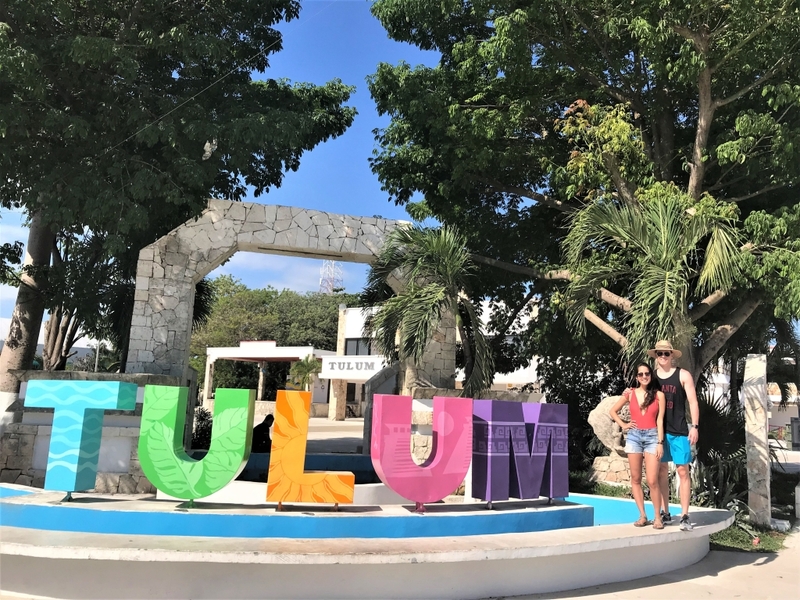 I HIGHLY recommend visiting Tulum if you want a more laid back, outdoorsy, and just awesome vacation.